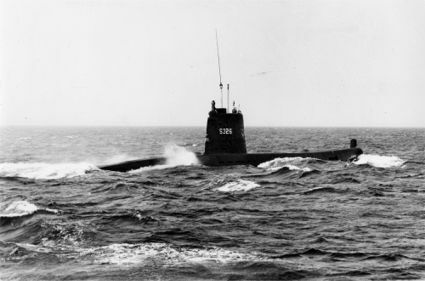 The submarine DELFINEN, the first of the four subs of the DELFINEN Class. 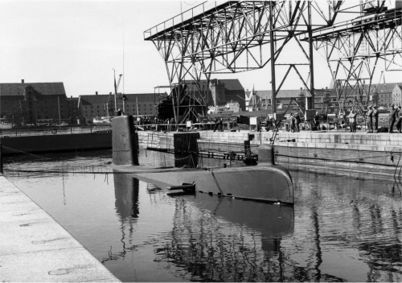 The last built purely Danish designed submarine class. 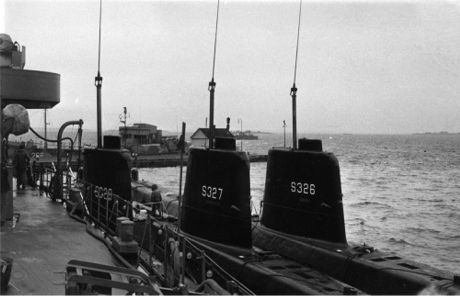 The first three subs were financed by Denmark, and the fourth sub SPRINGEREN was financed by the US under the Cost Share program. 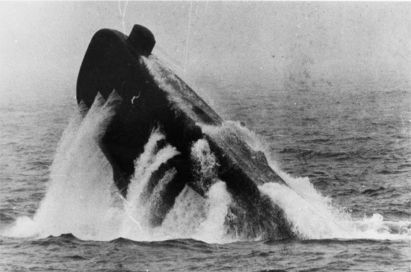 A submarine of the DELFINEN Class practices an emergency surfacing. 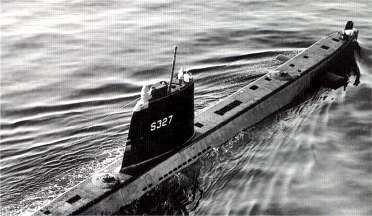 The submarine SPÆKHUGGEREN is here seen from above, this view clearly shows the neatly designed lines of the DELFINEN Class. DELFINEN (S326), SPÆKHUGGEREN (S327) and TUMLEREN (S328) are here seen moored alongside the submarine tender ÆGIR. DELFINEN is performing a test dive in the dry-dock at The Naval Dockyard on Holmen before being commissioned. 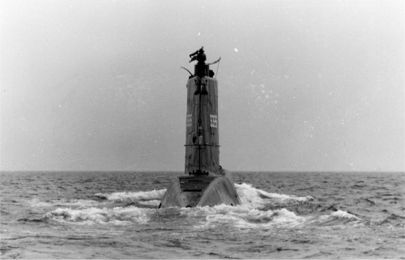 The submarine DELFINEN seen from behind.